Well I guess I can't hide my dislike for Power Rangers forever which can be justified by the rushed seasons and the current Nickelodeon fiasco (hence I deleted my slapstick fic) -- I just gave a thought that one girl is prettier than the other -- all the while I know which show I'm skipping! I just thought of the two cast reveals that happened last year and this year. Power Rangers Beast Morphers had its cast reveal last year. Ryuusoulger's cast got revealed yesterday. Ryuusoulger is going to air on March 17, 2019 (the same birthday as my real first crush) and my birthday will herald the four episode Super Sentai crossover mini-series. I just gave a thought on my tendency to watch Super Sentai or any show for eye candy and not for the plot -- all the while I still chew out a bad show with lots of eye candy regardless! 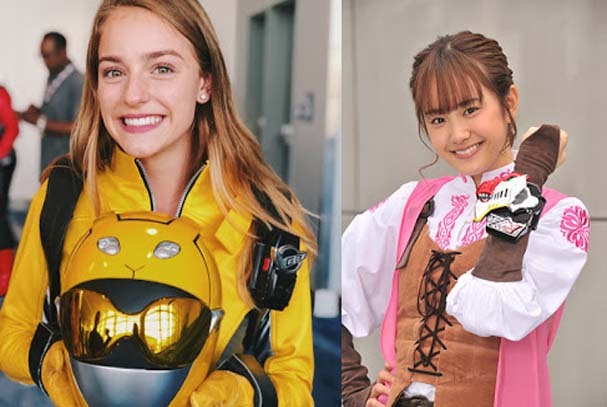 I would admit that I find Jacqueline Scislowski (Beast Morphers) way prettier than Ichika Osaki (Ryuusoulger) and I think she's currently hotter than any Power Rangers or Super Sentai girl for the new generation. I don't find Ichika that pretty if you ask me. I even want to admit I nearly abandoned Super Sentai because some of the later seasons post-Shinkenger lacked what I'd call "super hot girls" and I didn't find the Gokaiger girls all too appealing. I watched Kyuranger for the space theme and I don't really find Hammy all that attractive. I watched Lupinranger vs. Patranger and I think Tsukasa Myojin isn't as pretty as some of the Super Sentai girls back in the 2000s such as Nanami Nono (Hurricanger), Ranru Itsuki (Abaranger), Marika Reimon (Dekaranger), Sakura Nishihori (Boukenger though some tend to call her "rat" a lot and she does look like one) and Mako Shiraishi (Shinkenger but I admit, her face kinda looks a little more of a common type of beauty). 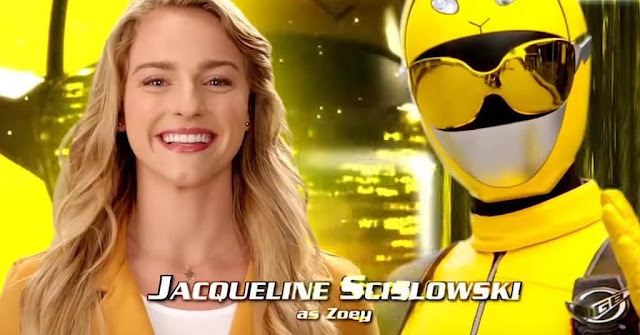 So I do find Jacqueline prettier than Ichika but there's one thing that's certain -- I feel like I'm going to skip Beast Morphers entirely. This is weird considering the fact that I used Ninninger's Fuuka and Kasumi as my "good reasons" to skip Ninja Steel entirely. Then again I don't make my dislike for Ninninger too secret either -- I don't feel like rewatching it after I finished watching it! So why am I skipping Beast Morphers and why am I still considering that I'm going to watch Ryuusoulger? It's because Power Rangers hasn't been getting better. Disney already botched it with the rushed 30+ episode seasons. Nickelodeon now even has to worsen it with splitting it into two separate shows -- it's just totally unnecessary! Midseason changes are good but having a break in between them is totally uncalled for. Super Sentai may have midseason changes but at least it doesn't have that annoying summer break. Can you imagine if I had to wait for an entire summer before the second half of Super Sentai arrived? That's just stupid if you ask me hence giving me yet another reason not to like Power Rangers! If there's any reason why I'm still having an open mind to watch Ryuusoulger is because of the RPG elements and Dragon Quest like attires. I'm also a casual fan of Dragon Quest myself! I think the reason why I still don't have too much of a fondness for Kyoryuger is because of Daigo Kiryu himself. At least Kyuranger didn't make it as Lucky-centric where we have Lucky beating Don Armage all by himself like Daigo did with Deboss in the finale -- though some complain he's a Gary Stu and in my case I call Lucky as "Lone Starr in red spandex". 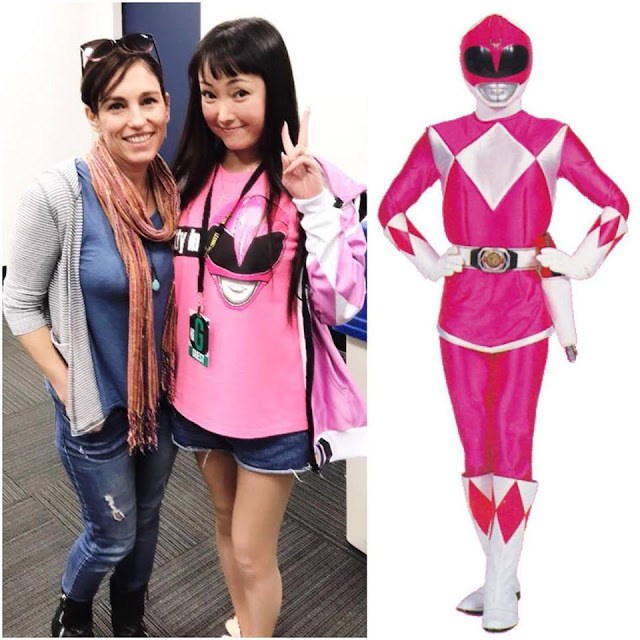 This is similar concerning my relationship between Zyuranger and Mighty Morphin' -- it's no secret that I just don't find Mei attractive and I think Kimberly is still the hotter one between them. I even have that unshakable opinion of saying Kimberly is hotter than any Super Sentai or Power Rangers girl though that's just pretty subjective -- others pick Jasmine, maybe Mako or Rin in Dairanger as a personal choice. I just thought about why I don't want to rewatch Mighty Morphin' anymore. Kimberly may be hotter than Mei but Mighty Morphin' ended up becoming a messy show after its first 40 episodes. Zyuranger had a definite finale. Sure, I tend to like Zyuranger only because I don't like Power Rangers but it's a fun show on its own. Just that the kid of the week is its weakness and nothing more. That's all for some crazy rant today!